Just a Girl: Get Your Silhouette Here! It’s time! It’s time! The Silhouette giveaway is here! My new BFF and I have been having such a fantastic time making new things and organizing the house together! I am SO happy that one of you will be able to foster a new relationship with your Silhouette soon! Between Silhouette’s people and my girls at How Does She who got us connected, I don’t know who to thank more. Let’s just be thankful for all of them, shall we? The Silhouette site has pages full of ideas for you just in case you’re still not sure how you would use it. 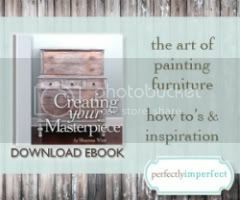 They also offer a blog where you can find inspiration and a weekly FREE download! In addition, they have a Flickr account where people can share the projects they’ve completed. Oh how I wish I would have created this card. Isn’t it adorable? Now onto how you can win. Go over to Silhouette’s site and check things out. Then, come over here and leave a comment to tell me how you’d use it. Blog about it with a link back to this post, then come back and leave a comment with the link. Mention it on Twitter or Facebook (with a link to this post) and leave a comment letting me know. With 4 ways to win, it’s almost a no-brainer! How could you not enter? The winner will be announced Friday, July 2nd. Lastly, don’t forget that you can also purchase your own Silhouette with one of these great deals! Just enter sweet as your discount code! Just think of how much you’ll save on gift giving and home decor this year! I would love to label...everything! This would be so cool to have!! You could do so many amazing things with!! I would use it for SO many things! Labeling jars, etching for my front window, decoration for my daughters' rooms, Christmas decorating, dressing up plain glass vases, and scrapbooking! I've never had a cricut before and I have always wanted one, they are just too expensive. So I would LOVE LOVE LOVE to win one! Thanks for the giveaway opportunity! I'd love this. It would be so much fun. What a FUN toy!!! I would love to make cards and cupcake liners and use it for just about everything!!! This would be so fun to use with the group of girls that I do activity days with. So many fun projects to teach. We'll wish and hope. Thanks for this opportunity. Blog design © 2010 The Design Girl.